Not quite surprising 2 years after the announcement of the original Soundlink Mini, Bose just revealed the new Bose Soundlink Mini II, sucessor of the maybe most popular portable speaker worldwide that I reviewed here (although in German). According to some rumors the Soundlink Mini managed to sell about 10 million times, quite impressive for a little battery driven speaker. 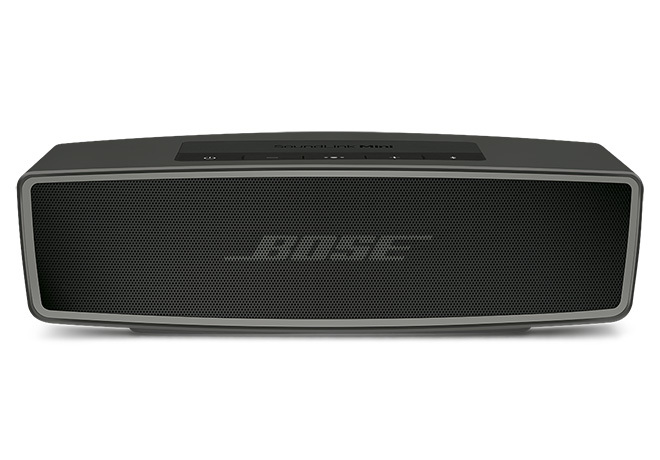 Interestingly it seems as the Soundlink Mini II just appeared in some European Bose-stores so far and can be ordered from there immediately, but it is not listed in the US-store yet and they don't seem to know even any release-date. In the meantime it has appeared on the US-site for preorder as well. The new model looks just like the old one, but it is available in black or white now. It gained some new features like speakerphone that was missing on the original model, voice prompts (probably the same as on the Soundlink Colour), it can finally be charged through MicroUSB and battery life seems to have been slightly improved, but no other obvious changes so far. I am not sure if the new one will really sound much different, there is not a single word about changes in sound etc. To tell the truth I was expecting something completely new, more rugged maybe, water proof or whatever, but it seems as if Bose just tries to sell the same speaker again only with some new added features that were simply lacking from the original. As soon as I can get my hands on a unit, I will check out if the sonic qualities have indeed improved over the old Soundlink Mini, if not the Soundlink Mini II will have to fight against some strong competition with the JBL Charge 2+, Denon Envaya Mini or the upcoming RIVA S.
What is your usual listening level? which volume step? I found that at high levels the JBL Charge 2 deliveres the best overall performance. It is the only small speaker I can really enjoy when having it on the passenger's seat in my car. It still manages to keep most bass despite some stronger compression, both Denon and Bose sound rather tinny and forced at maximum volume. Sometimes the speaker is sitting on a shelf (against a plaster wall) in my living room, a fairly open space, maybe 10x25 (two rooms with a half height wall). In this environment, almost all speakers except A33 need to be 75%-100% (A33 can be about 4 of 5 bars, maybe a bit less). Envaya Mini in this environment needs to be at almost max on phone and speaker. The Turbo X I had at 9 or 10 mostly, but often that's just because that's the only steps where the speaker sounded "right" to me. Outside on patio, it's only a 10x10 type patio, so the volume can generally be much lower; with the Envaya Mini right now it works great at about 60% on the speaker, 40-70% on the phone. (It's so hard to know where you are in 100 volume steps with no indicator!) With a mix of use the past 2-3 days between those environments, I've had to recharge it every day (twice it got into the red, and once blinking red). The final torture test area is the bathroom/shower area: plenty of ceramic, plus glass shower doors/walls, and running water (when showering ;) ) are pretty much designed to ruin acoustics it seems. Speaker sits on the counter top, not in the shower! 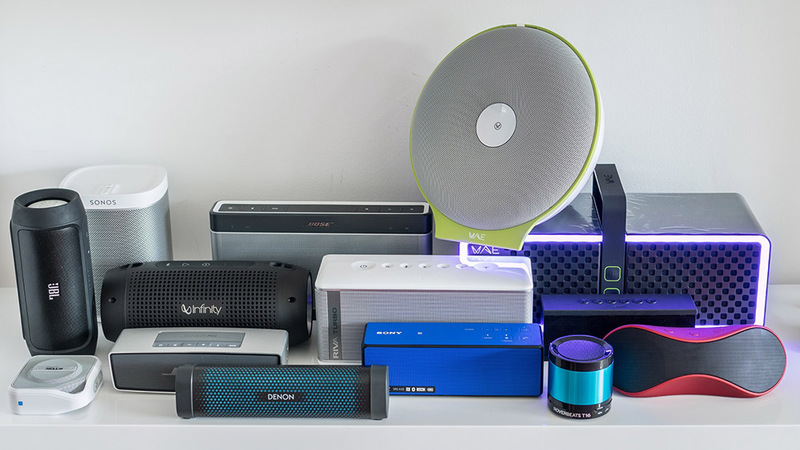 In this area, loudness appears to be king and might as well have a stationary BT speaker, but the Envaya Mini does pretty decently; the Charge 2+ and Bose Mini seem to struggle with loudness at the frequencies that are needed in this noisy area. Anyway, this is not a hi fidelity listening area, clearly, but if we are really trying to push the speakers I try them in there. Oddly with the Charge, the more speakers I played with and switched between, the more I could discern how...mono the Charge sounded. While it sounded technically very good (clear vocals (boosted? ), clear bass), I had the sense of it coming from a small/enclosed space. BTW my music type is quite varied; it could be Tori Amos, then Ludacris, then rock like Rise Against. So it's a challenge for any speaker to sound great on all of those. And by the way, thank you for all of your work and reviews. Trust me, I have read most of the recent ones at least 3x AND the comments! Well, it looks to me that Bose is doing to its SoundLink Mini what JBL did for its Charge 2, except Bose still didn't venture into the water resistant/rugged bluetooth speaker scene... It's most likely the same speaker as before, I'd say. USB charging and voice prompts are welcomed additions, as far as I'm concerned, but a more rugged option would be the true deal breaker. I finally got to listen to the SoundLink Mini and the Charge 2 the other day at a local store and I was disappointed to confirm that the bass on the SoundLink Mini was overpowering. It does sound great for its size, but the bass is just too much. I also tried the Denon Envaya Mini and I found it funny that it's sort of the exact opposite of the SoundLink Mini: bass is there, but humbly stays doing its thing in the background. Now the bass on the Charge 2 sounded just right, and that was the speaker whose sound quality (overall) I enjoyed the most. I'm glad Bose updated its wonderful SoundLink Mini (though it didn't update it enough), but for me it's still the Charge 2+ (once the price gets lower). konnte dein Bekannter denn zufällig schon den Kilburn anhören? Ich war hier in 2 Geschäften, jedoch hat noch keiner den Kilburn und bekommen ihn wohl erst Ende des Monats. Ansonsten würde ich ihn gerne heute bestellen bevor er wieder out of stock ist. Liebe Grüße und vielen Dank noch mal für deine tolle Hilfe! Leider nein er ist heute nicht mehr gekommen, obwohl laut Tracking heute Zustellung gewesen wäre. Wenn deiner kommt, würde ich mich natürlich über einen kurzen Ersteindruck freuen. Also jetzt ist meine auch angekommen. erst mal sieht sie total chick aus, macht also wirklich rein optisch was her. Vom Klang her, ist die andere von Marshall glaub ich lauter (die hab ich im Geschäft probiert) aber die ist schon auch ordentlich laut und ich denke das sollte schon für eine Feier reichen. Auch wenn nicht für sehr viele Leute. Aber ich muss da dann auch noch warten bis zu dem Geburtstag, wenn wir sie richtig testen können. Hast du noch mal reingehört? nein, hab sie noch nicht selber gehört, ich treff mich aber demnächst mit meinem freund, da kann ich dann auch mal reinhören. hast du schwarz oder beige genommen?